C&GR University - Coach & Grow R.I.C.H. Learn the proven, step-by-step business building system that has helped thousands of coaches world wide build thriving, rewarding and profitable businesses! Are you unsure about how to best market your coaching? Are you beginning to doubt whether you can earn a good living as a coach? Coach & Grow R.I.C.H. can help. At Coach & Grow R.I.C.H. University you learn step-by-step, exactly what you need to do to attract great clients and build a successful coaching business. You see, a lot of coaches struggle to get clients. Perhaps you can relate to this. I bet that you are a gifted coach. That you have the skills, knowledge and experience necessary to profoundly impact the lives or businesses of your clients. The thing is, your success has surprisingly little to do with how good of a coach you are. Instead, your success depends on your ability to sell and market your coaching. Now, I do want to be clear with you—I am not a miracle worker, guru or magician. You have to do the work! C&GR University is a complete step-by-step home study training program. The Coach & Grow R.I.C.H. system is taught in 3 parts: the C&GR Foundation Course, the C&GR Sales Course and the C&GR Marketing Course. You learn everything you need to know to build a successful coaching business. The program features comprehensive written workbooks, weekly assignments, audio instructions and recorded teleclasses that walk you through the proven C&GR system – guiding you every step of the way. You determine the pace. And I even provide guidelines on how much time to spend growing your business each week, based on your schedule and objectives. Increase your success mindset, confidence and commitment. Create and implement your ongoing marketing system so you always have a steady stream of clients. Discover the best way to secure speaking engagements and what you need to do to get clients when you speak. Learn step-by-step how to conduct highly effective Complimentary Coaching Consultations and watch your client base grow. Customize and use letters we have created to form powerful Strategic Alliances that could literally fill your practice. Learn the truth about pricing and discover how to price and package your services in order to attract more clients and maximize revenue. Discover proven strategies to generate more referrals. Stop spinning your wheels and start taking the action that delivers real results. Learn the magic response to handle virtually any sales objection. Realize how to overcome the inevitable set-backs. Once you learn how, it’s like flipping a switch that will allow you to achieve the success you deserve. The material and information available at C&GR University is literally worth thousands and thousands dollars. Yet the investment for a lifetime membership is only $2,997 and we even have easy installment options. I want to make an impact on the coaching profession. I want to help lots and lots of coaches help lots and lots of people. I am tired of seeing talented coaches leave the profession because they can’t make a living as a coach. This system is the solution. I want every coach in the world to implement it. Coaching is an incredibly powerful tool that enables people to be their best, achieve their goals and live fulfilling lives. People need you. It’s your time. I know, because the C&GR system has worked for thousands of other coaches just like you. We have literally received hundreds of testimonials from coaches who tell us how C&GR has improved their business and life. C&GR University makes it easy for you to learn what you need to know and then implement it. Many programs present dozens and dozens of different ideas and strategies. Instead of getting coaching clients, you get overwhelmed. The Coach & Grow R.I.C.H. system is different. C&GR is a simple, straightforward, step-by-step process that provides the information and tools you need to get into action and get results. 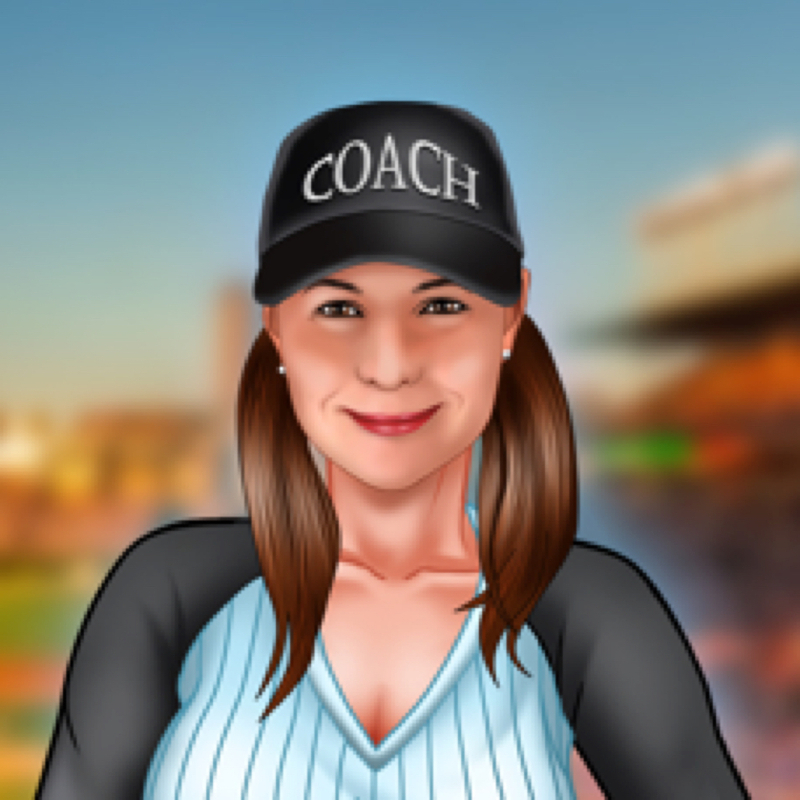 Learn the proven Coach & Grow R.I.C.H. client attraction and business-building system step-by-step or pick and choose the topics you want. Weekly Assignments and Action Items keep you on track and in action. Download the recorded teleclasses and listen whenever you want. Professionally written workbooks show you exactly what you need to know. No need to reinvent the wheel. We provide sample letters, forms, flyers and more saved in Microsoft Word that you can easily customize and use. Decide to be successful. Strengthen your commitment. Build your belief. Clarify your business vision. Write your Future Letter. See yourself living the life and having the business of your dreams. Understand the benefits of specializing. Determine your coaching niche. Envision your ideal client. Identify your target market. Speak confidently about your coaching. Explain how your coaching works. Create your own coaching program. Price and package your coaching to attract more clients and increase profitability. Create your comprehensive compelling message, the foundation for your marketing materials. Gain insight on the operational, technological, financial and legal areas involved with running a coaching business. Set your 90 day goals. Understand the 4 key elements of an effective client enrollment consultation. Reserve time in your schedule. Discover step-by-step exactly how to conduct an effective client enrollment consultation that makes it easy to sign up new coaching clients. Learn step-by-step how to use your coaching to handle any sales objection. Discover 3 “Fast-Acting” client attraction strategies. Begin implementing at least one. Discover more than a dozen ways to attract potential clients who are interested in your coaching. Learn how to use special offers and promotions to attract more clients. Discover ways to leverage the holidays. Create your long term marketing system. Learn the secrets of effective networking. Learn how to generate more referrals. Learn how to get clients from speaking. Learn how to form powerful Strategic Alliances. Learn how to develop a website that is perfect for you. Learn how to utilize social media to attract clients and partners. Learn how to use an ezine or newsletter to grow your business. No need to reinvent the wheel. We make it easy for you to take action. The C&GR Marketing Toolkit includes sample marketing materials, sales letters, business forms and more that you can download, customize and use. You get a proven, hot, “done-for-you” teleseminar that you can offer as your free training. I call this the 2 step marketing approach and it uses education-based marketing as a way for people to get to know you and then want to sign up for your group program. This is a DOWNLOADABLE turnkey package that includes everything you need to market and deliver a high value teleseminar (that you can charge for or offer for free) in order to attract ideal clients and then invite them to move forward with you. You get everything you need to start getting clients for your group coaching program by offering and delivering a proven and popular free teleseminar. You can even use this in a live workshop format or choose to charge for it if you want! If you are ready to grow your business, so you can coach and impact more people and enjoy the financial success you desire, join Coach & Grow R.I.C.H. University today. Get the training, tools, support and guidance you need build a thriving, rewarding and profitable coaching business. I understand that my C&GR University enrollment comes with a 100% Money Back Satisfaction Guarantee. I can go through the entire program and if I am not completely satisfied, I can let you know within 30 days from my date of purchase and receive a full refund. My investment is risk free. Enroll in C&GR University Today! You can rest assured that this online transaction is completely secure. After your information is received you will get an electronic receipt and confirmation within a matter of minutes. Remember, I stand 100% behind the information I’m offering to you. If you decide that this program isn’t exactly what you need to attract great clients and build a thriving, rewarding and profitable coaching business, just let us know within 30 days from your date of purchase and we will issue you a full refund. If your coaching business does not look the way you want it to, Coach & Grow R.I.C.H. can help. Remember, we offer a 100% satisfaction guarantee. You’ve got no risk and have a full 30 days to make sure this is right for you. Ask me any questions you have and I’ll personally reply. I want you to make the decision that is right for you.